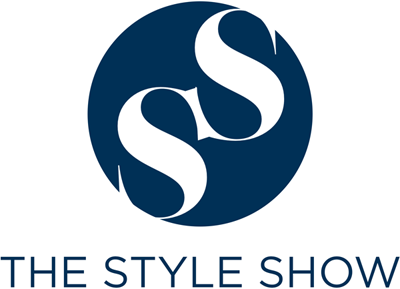 The Style Show: 6 bottom wear each hombre should own. 6 bottom wear each hombre should own. Senseless buying has been evident to every man most especially in terms of clothing. These fashion forward guys sometimes purchase specific clothes because of its aesthetics not because of its use. They forget to consider how comfortable the clothes must be before they will pay over the counter. Most especially with the bottom wear, there must be some things that need to be regarded before taking advantage of any piece. I have created a simple list of the bottomwear each guy must have and if you are ready then let me run down my list. 1. 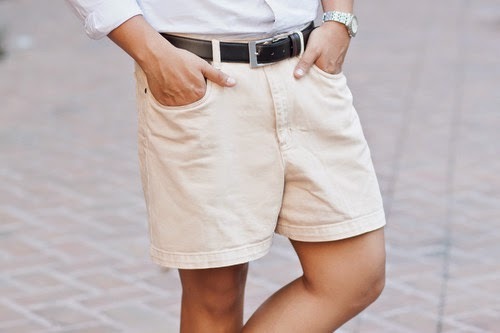 Casual Shorts - One of the things that each boy should have will be tons of casual shorts. In terms of flexibility, this can be worn everywhere and every time. It can be styled depending on your mood which means you can look preppy, dapper or punky. Also, these shorts are of low maintenance which means that you don't need to exert much effort trying to look stylish because the outlook is enough to partner with almost everything. 2. Gym Shorts - It is a basic to every guy to have these workout shorts. Mostly for male style enthusiasts, being fit is next to wearing everything. Always bear in mind to find a pair of workout shorts that is comfortable to wear, can make your skin breath and will not be a hindrance for you to move. 3. Jeans - If there is a single clothing that can be called a guy's best friend then it will be a pair of pants. Deny it or not, most of the guys will settle on wearing this on whatever events they will attend. Every lad will buy pants just for the sake of just wearing this without thinking about if it will snuggly fit or not. 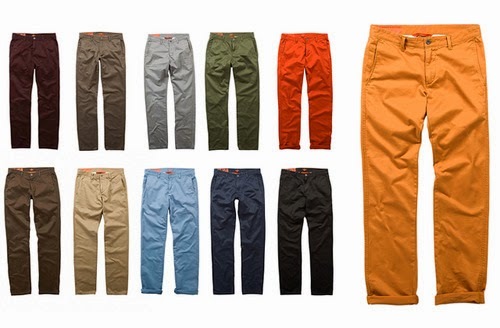 There are 3 things that we need to consider on buying pants; First is the color. For big guys, always settle for dark-colored jeans. On the other hand, thin guys must purchase the lighter ones. Second, the length of the pants should be exact to one's corresponding heights. Lastly, brand and price. Smart guys know how to buy pants and shopping should be health to their wallets. 4. 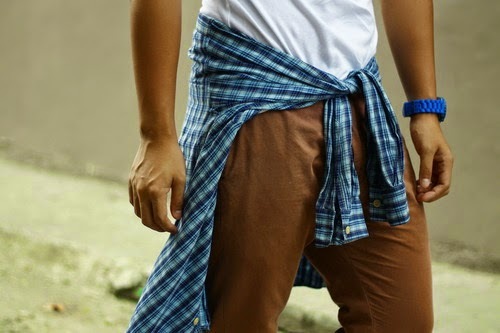 Chino Pants - A pair of chinos has been a raising favorite in men's styling. In terms of its clothing material, chino's strength is versatility. It can be work either casual or semi-formal depending on how you will style this up. These pairs come in wide arrays of colors from oxford red to green, from beige to cream, oh just name it. It will make the other half of your closet fun to look at instead of having tons of boring-colored jeans. 5. 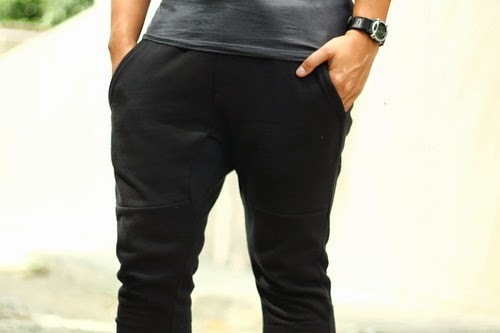 Joggers - Regarding on which style tribe you are currently in, I think there is no pair of bottom wear that can be best combined with sneakers other than jogging pants. This has been one of the essential each Filipino guy must have. Stop the mentality of this being worn by dancers, gym rats or whatever comes into your mind while seeing this. In terms of clothing strength, this has been one of the easiest thing to wear without putting a lot of effort to style up. 6. Dress pants - Last but not the least on my list, there this dapper style each lad is channeling with. One of the reasons why it is a must-have in one mate's closets because this is the only pants that can make a sharp look. Also, some other pants cannot be appropriate to a special gathering that only this pair can fashionable provide. Always remember that dress pants must not be really costly at all, fit and cost should always come hand in hand. 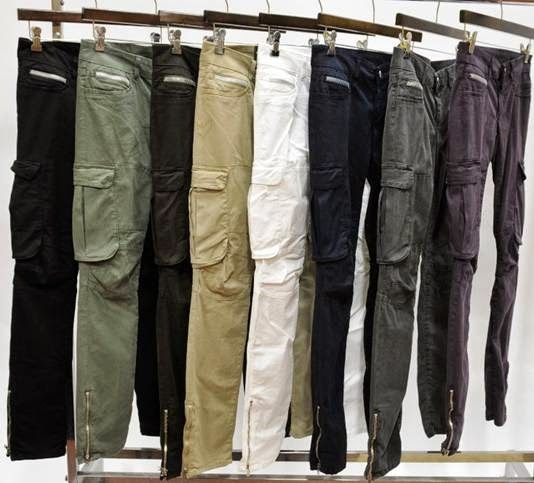 Either casual or formal pants, fit should be a top priority before anything else. Price and brand should be placed at the bottom part of your list. As long as you can carry yourself well, everything will fall into the right place. Furthermore, I know you have tons of suggestion as regards to the pair of pants but then, everybody must consider the vital use and functionality of an item too. I listed these pairs because this will help our guys become more fashion forward without giving up a single sweat. But if you have some suggestions to say, please feel free to post on the comment box. My husband is more fashionable than me and his wardrobe occupies our closet more.. hehe. He has almost all of these, except for the dress pants I think he only has 1 pair coz we don't go to formal gatherings that much and he wears overalls for work. Nice array of men's clothing and really good to wear. More to it than a casual walk. right on fernando. thanks for dropping by! 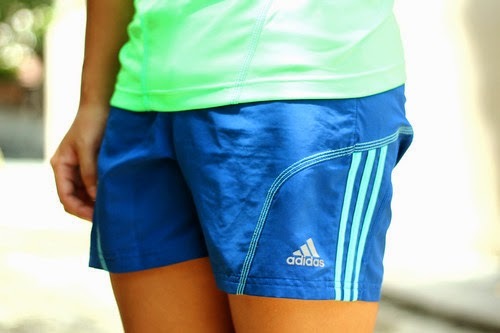 I'm more of shorts and jeans when it comes to bottoms though when it comes to running bottoms, I have more alternative like cycling shorts, compression wear, shorts with compression and a lot more. Great ideas! The colored jeans will be on my shopping list this septermber. 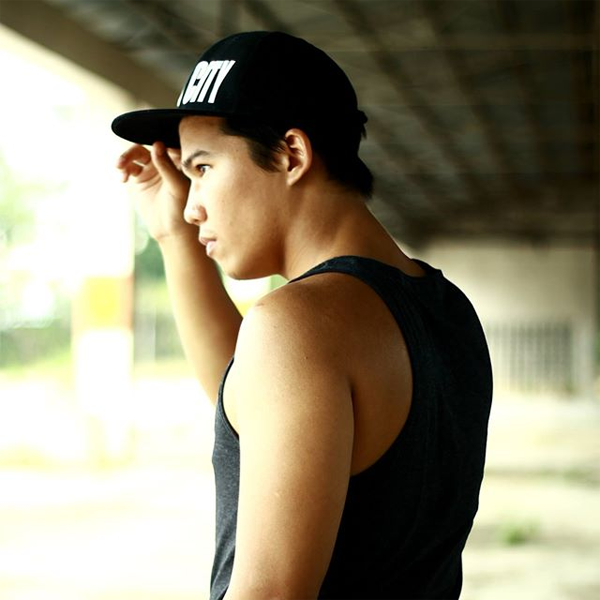 Don't forget to blog your OOTD Manu! That's great to hear. Thanks for dropping by Aisha! you're such a fashionable person. I think my husband has these six bottomwear. Thanks for sharing these, Sef. I will definitely get this for my husband for Christmas. You gave me a great idea of what I should buy for him. After reading your post would definetly need your fashion expertise please. Need to buy jeremy new set of clothes but we both don't know where and what to buy. I definitely agree with this. Hope the gentlemen read this and prioritize dressing properly!